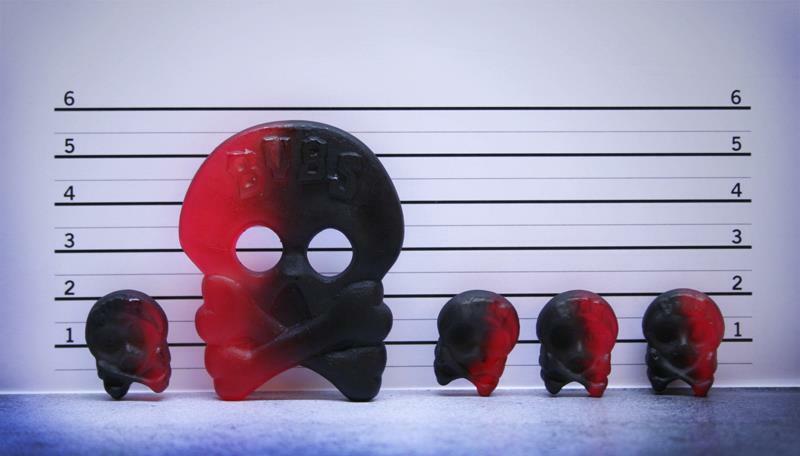 The Swedish candy producer Bubs sells a raspberry licorice candy called Hallonlakritsskalle (Raspberry Licorice Head) that is very popular on Facebook. 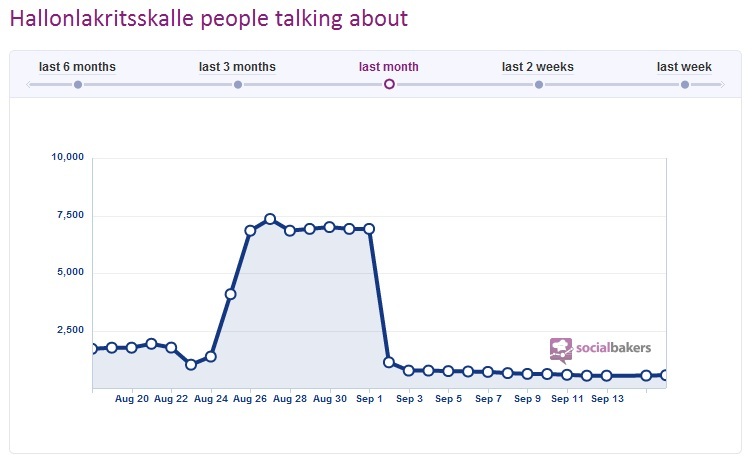 For a while it has been one of the Swedish brands with most fans on Facebook, currently about 360,000. But getting a lot of followers is one thing, getting them engaged in your content is another. The last four months, Hallonlakritsskalle has only posted about one new update per month. On the other hand, those posts generate a lot of likes and comments. What I wanted to show was how one single creative image can spark a lot of engagement, but also that the engagement is short lived. The image below was posted on Aug 23 and generated about 5,600 likes and 100+ comments. This equals an engagement rate of 1.9% which is good, but not spectacular. But note that the engagement after the first few days plummeted and is now considerably lower than it was before the post. Keeping your fans engaged is difficult and one lucky post doesn’t take you far. Apart from being creative and relevant it also requires frequency and perseverance to keep the page going.